Old Mrs. Ellison doesn’t have much longer to live, and her scheming son Cedric is counting the days until he inherits her fortune. But his plans are upset by the arrival of his niece Varvara, a beautiful and wild young woman from a remote Chinese region known as the ‘Sea of Glass’, a strange land where wars are fought with crossbows and ‘highly damaging curses’ and where death may come at any moment in the form of a venomous barking spider. With the aid of a love-struck law student and a bibulous butler, Varvara aims to thwart the wiles of her evil uncle—but events take an unexpected and fatal turn in this unusual story, which is by turns hilarious and macabre. An exquisite blend of comedy, murder mystery, and surreal fantasy, Dennis Parry’s masterpiece Sea of Glass (1955) was published to near-universal acclaim and has counted Edward Gorey among its admirers, but sank into an undeserved obscurity following Parry’s untimely death a month after publication. This edition features a new introduction by Simon Stern. 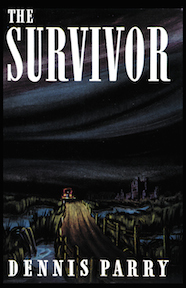 Parry’s novel of possession from beyond the grave, The Survivor (1940), is also available from Valancourt. 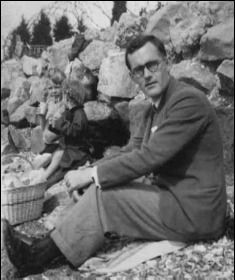 Dennis Arthur Parry was born in 1912 and was educated at Rugby School. He read Classics at King’s College, Cambridge and obtained a first class degree. He then read Law and qualified as a Chancery Barrister. In 1937, he married Kathleen Arona Forbes, with whom he had two children, Susan and Jonathan. He was rejected for service in the Second World War because of poor eyesight and instead joined the civil service, eventually rising to the post of Permanent Under-Secretary to the Minister for Coal Production. After the war, his marriage collapsed, and following a divorce, Parry married his second wife, Audrey Dockerill, with whom he had one son, Mark.